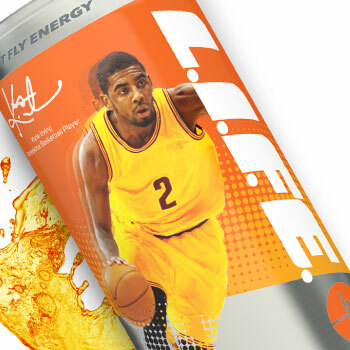 Founded by NBA champion Mike Miller in 2010, Let It Fly Energy, or L.I.F.E., line of energy drinks is the healthy alternative energy drink for athletes. 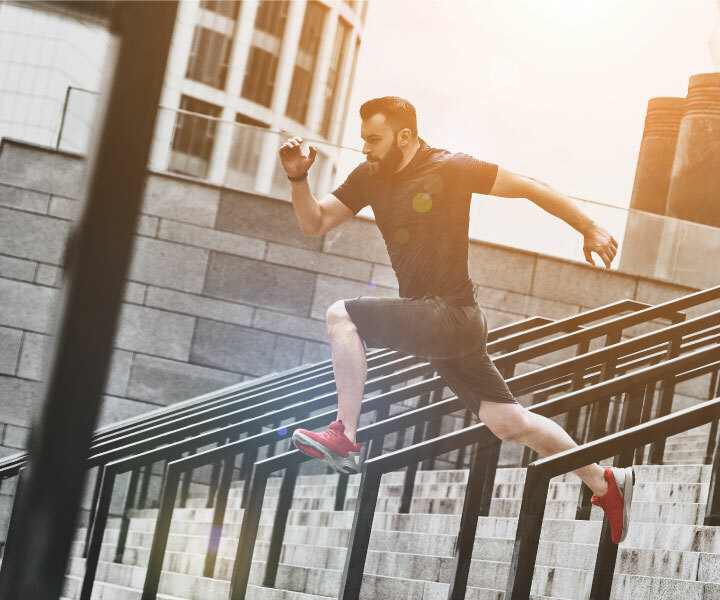 With success in the United States growing, the brand turned to invigorate global markets with their healthy energy in a can - particularly looking to enter the Chinese market starting with Hong Kong. 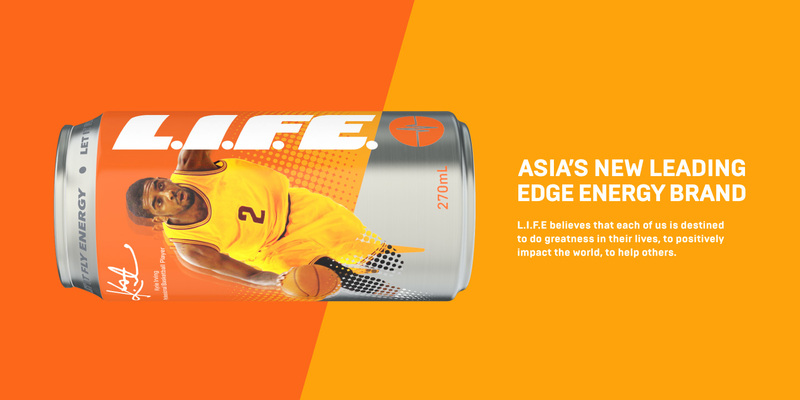 With ambitious aspirations of having more than 100,000 retail outlets throughout Asia, L.I.F.E. 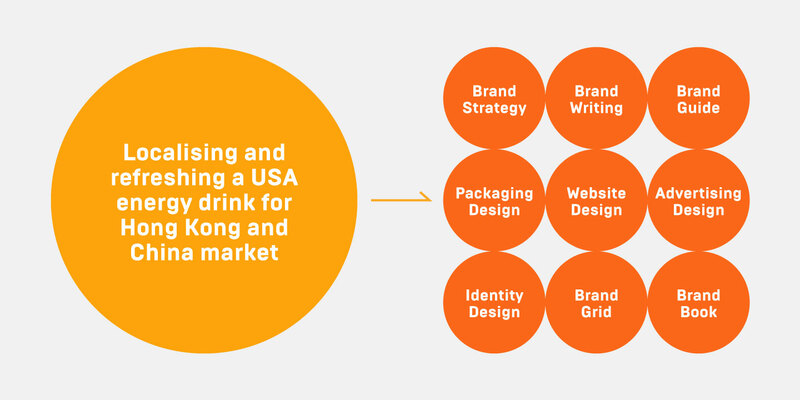 reached out to Base Creative to conduct competitive analysis, brand strategy development and a brand book built on a new brand identity developed with Base Creative’s help. 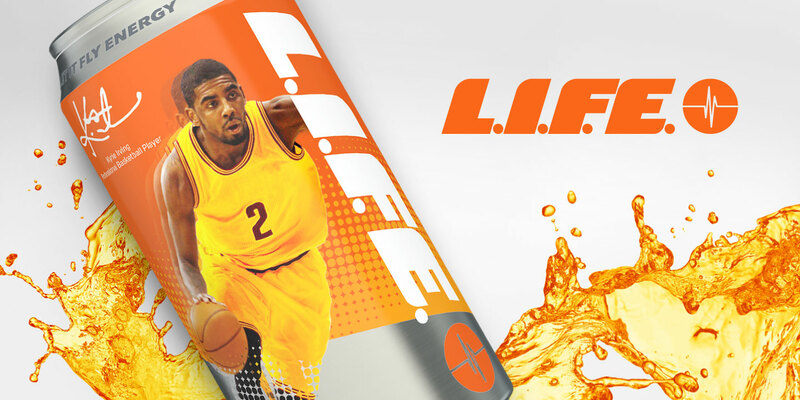 Hoping to score in China, U.S. energy drink brand L.I.F.E. 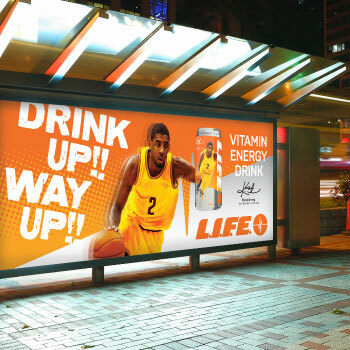 and Base Creative worked as a team to develop a playbook of how the brand would most effectively be introduced into the market beginning with Hong Kong. 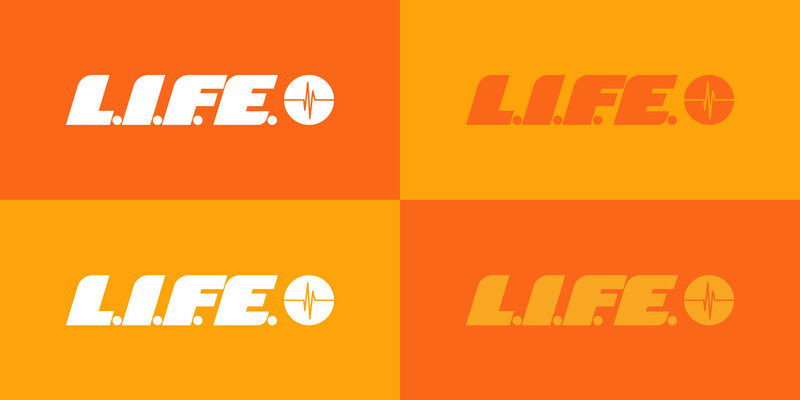 To articulate the distinctiveness of L.I.F.E. 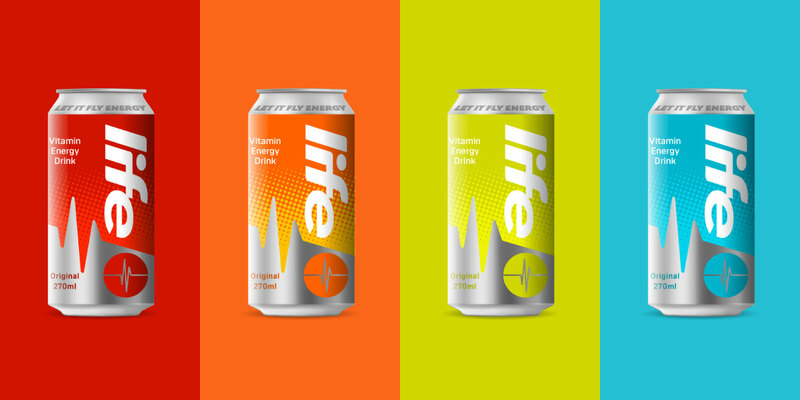 energy drinks and its identity, our team embraced the idea of a lifestyle brand that conveyed the life pursuit of going higher. 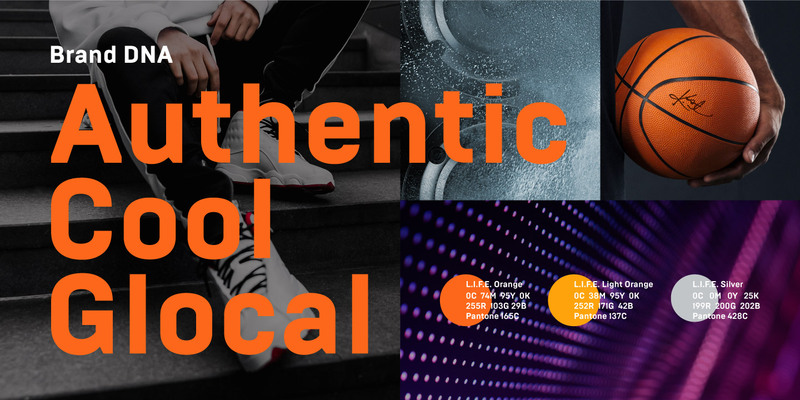 We created a range of positioning statements to articulate the aspirations of the company, its consumers and the sport that inspired it all. After initial research, the opportunity to enter the Chinese energy drink market was a clear shot. 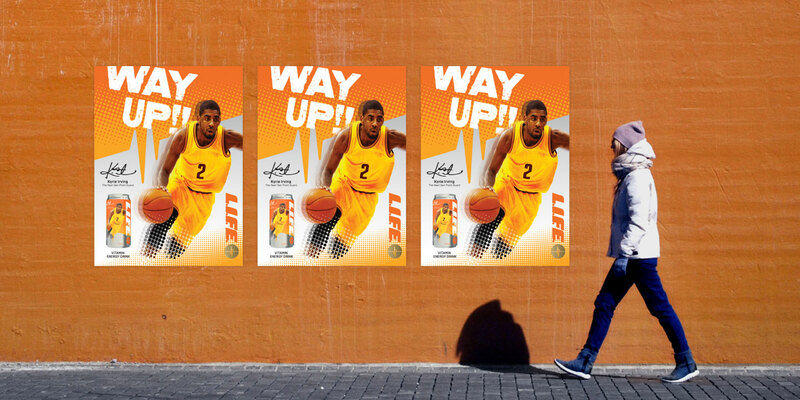 With interest in the NBA growing at a fast rate in China, the time was right for a product associated with an NBA star and to a sport gaining traction. Through focus groups and desktop research, informed directions were made on the value proposition and the visual design. Our conclusion: the brand needed multi-level positioning to attract a range of demographics from students all the way to office workers. 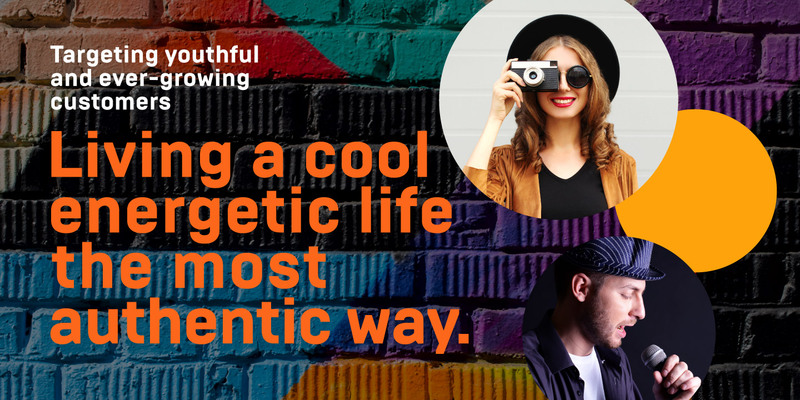 Targeting millennials, the brand values needed to paint a picture of living a cool and energetic life in the most authentic way. 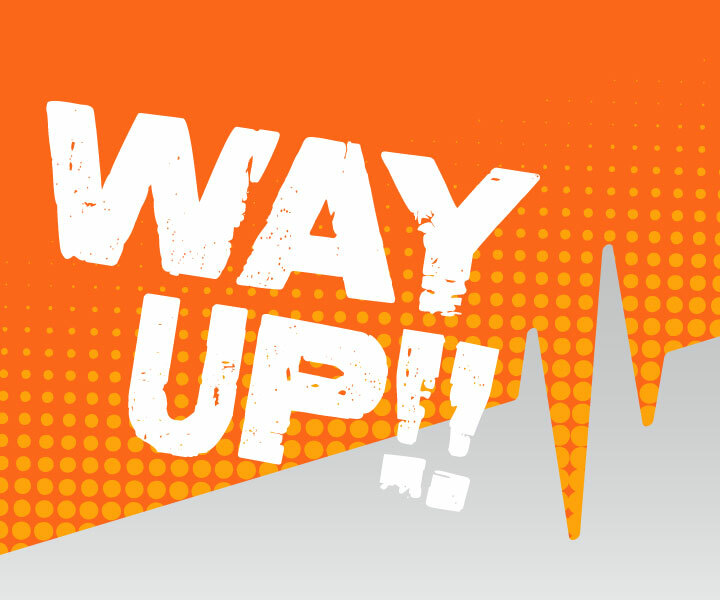 We anchored the brand experience in the core expression of “Turn Up,” turning up the passion in all areas of life. 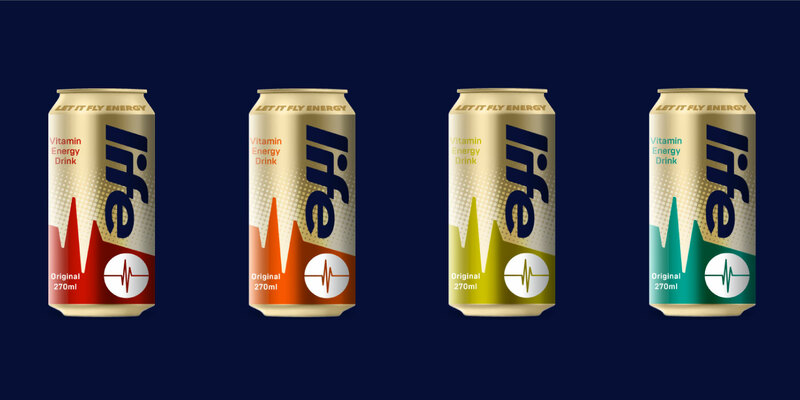 Through several rounds of qualitative focus groups, clearly defined values helped launch the brand starting with a new L.I.F.E. 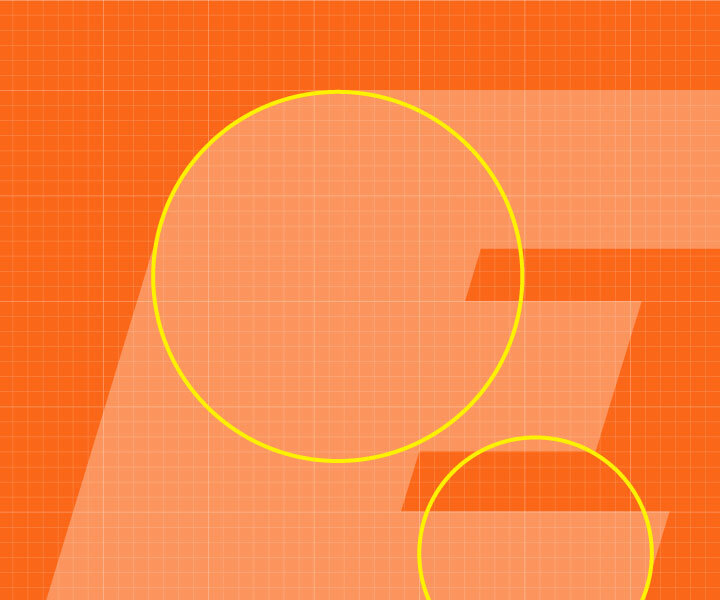 logo designed to boldly be in motion. 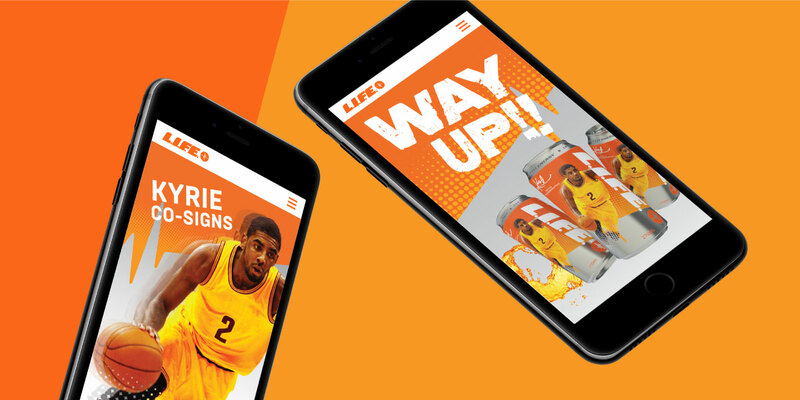 Furthering associations with basketball, orange was chosen as the brand color to highlight the energetic nature of the brand and the lifestyle it offers. Packaging drew inspiration from the energy it contained. 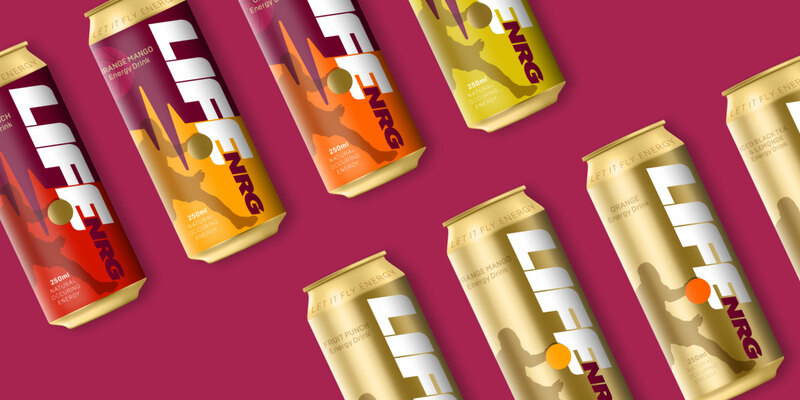 Sitting alongside notable energy drinks like Lucozade and Redbull, we knew that packaging needed to pack a strong visual punch that would differentiate it from the rest. 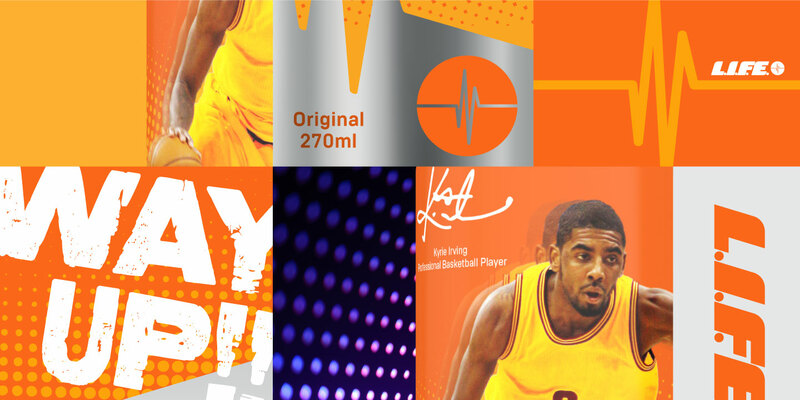 Focussing on its identity as “for athletes” and a healthy alternative, several designs were drafted, tested qualitatively and prototyped featuring bold colors, silhouettes of basketball players and images of heartbeat lines. 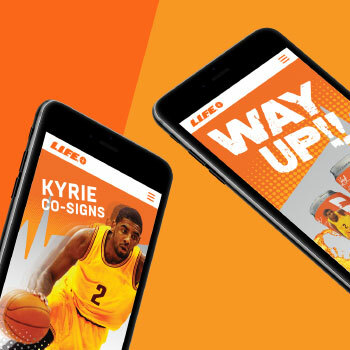 Connecting to the tech-savvy target audience was a crucial aspect for the success of the brand, so we created a mobile-first site with a framework that would allow the majority of content to be user generated. 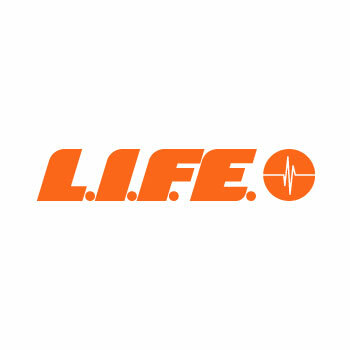 Exposure in public areas via billboards, bus stop adverts and posters allowed L.I.F.E. 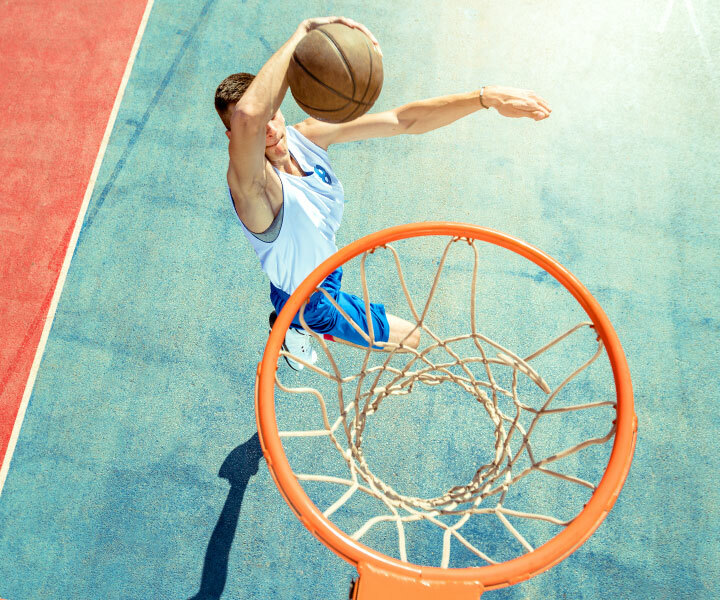 to be a part of the active urban life of the target audience. 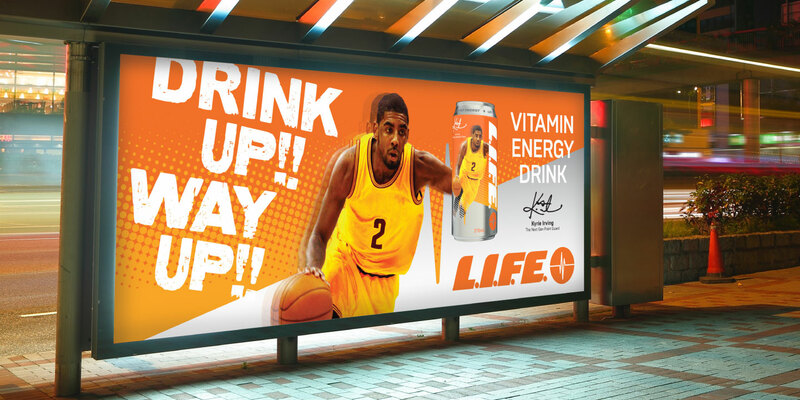 Advertisements featured the tagline “Drink Up!! 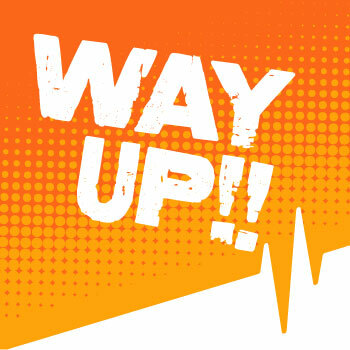 Way Up! 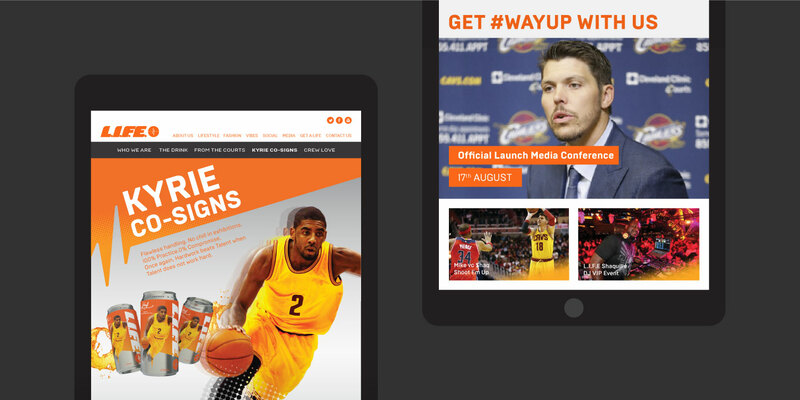 !” aligning the brand with mobility and going higher, featuring famous NBA player, Kyrie Irving.